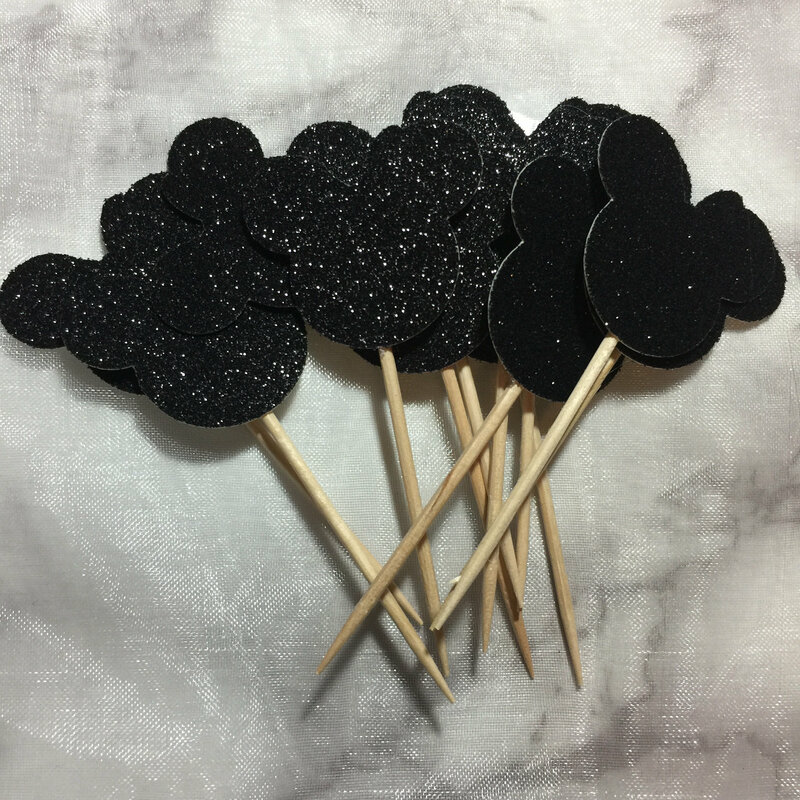 This Listing is for 12 Mickey heads cupcake toppers. You can choose from gold glitter, silver glitter, rose gold glitter, or black glitter. ***Toppers are made from high-quality, low-shed glitter that is glitter on the front and white on the back. Please note that this is thick cardstock, but paper products are still fragile and must be handled with care. Need a different color or something specific? Convo me because I love custom orders!